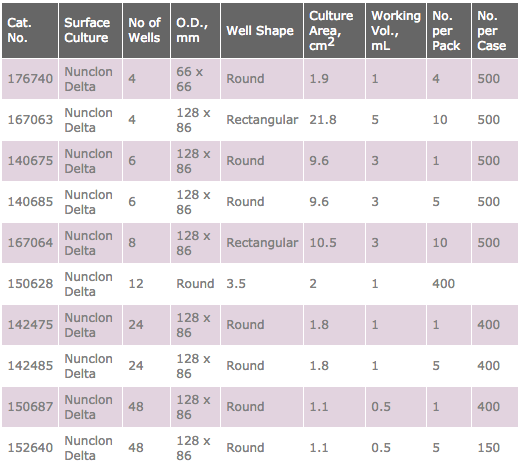 Surface areas ranging from 0.013 cm2 to 25,280 cm2, allowing for easy scale up when expanding cultures. Our products are manufactured using only high quality raw materials that comply with USP Class VI. 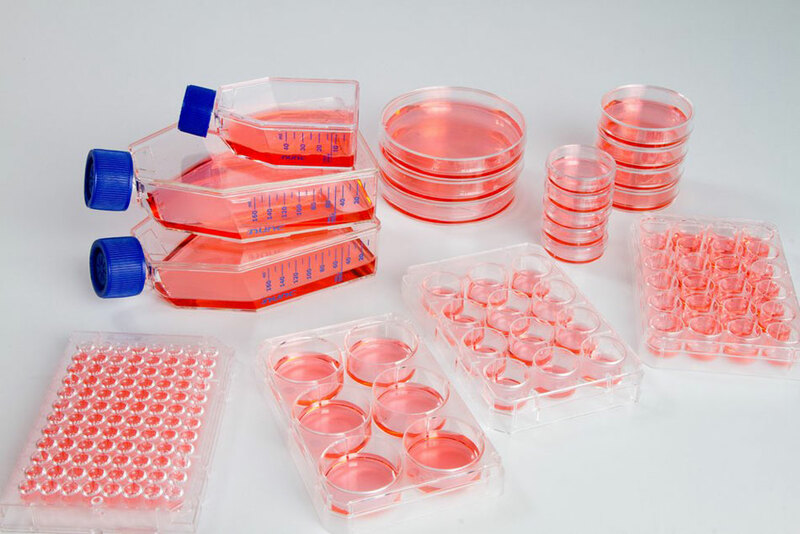 Most of our cell culture products are tested with 4 different cell lines to ensure monolayer formation and consistent cloning efficiency. 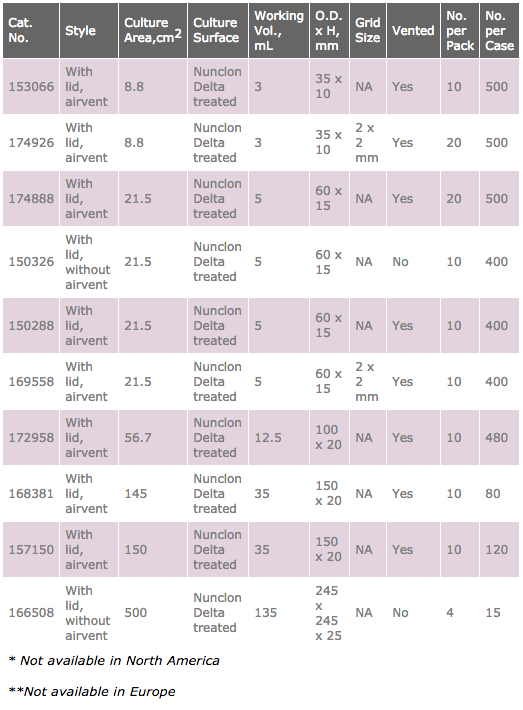 Non-pyrogenic: The product is tested according to the principles of the LAL-test described in the FDA guidelines and certified non-pyrogenic with a documented endotoxin level of less than 20 Endotoxin Units/device (0.5 Endotoxin Units/ml) as stated in the USP. 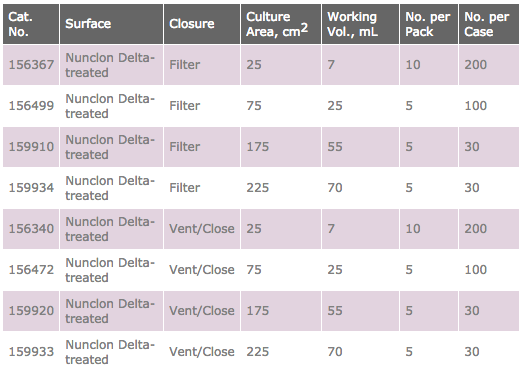 Sterility is obtained through irradiation according to ISO 11137 (sterilization of health care products – requirements for validation and routine control – radiation sterilization) with SAL 10-6. 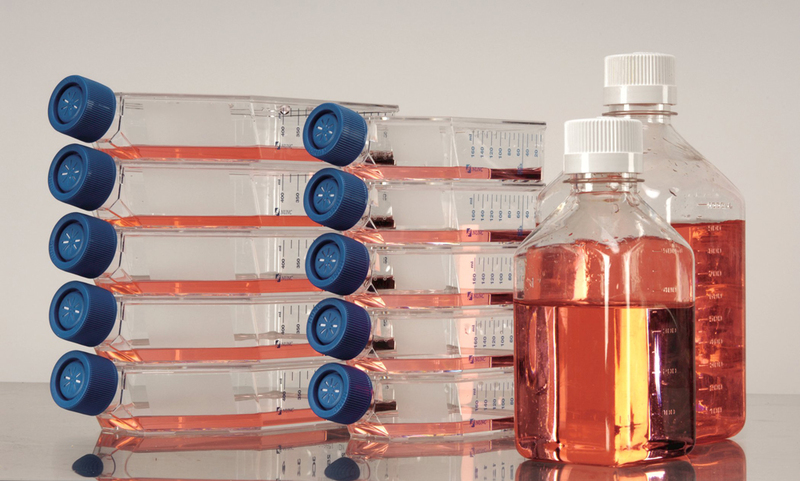 Nunc EasYFlasks cap have ergonomic design with a 1/3 turn to open, close or vent, with angled neck and wide opening allows easy access to the cell growth surface by pipets or cell scrapers.